Central America-Costa Rica-Quepos Delighted to drive here from San Jose. Stayed nearby and the main attraction was Manuel Antonia National Park. Beautiful to see with wonderful beaches and of course the wildlife. 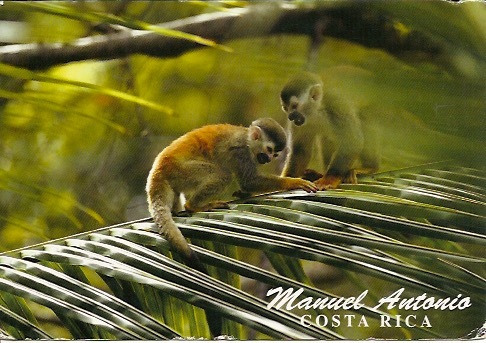 Plenty of monkeys around as per this postcard. A highlight in Costa Rica. Very pleased to get this card back . I posted it in the local Post Office. But when I got it back it was not postmarked. So I resend it back to the hotel asking them to send it back from the Post Office for me. So second time here it is. Robinson Crusoe Island was wonderful to visit. Here are some of the photos. Very friendly and worth the effort , flying from Santiago de Chile . A view from near the airport. Robinson Crusoe Island , just before landing. Walking from the airport to get on the boat to take me to the main town. Bulgaria-Plovdiv The second city of Bulgaria and certainly a great one to visit. 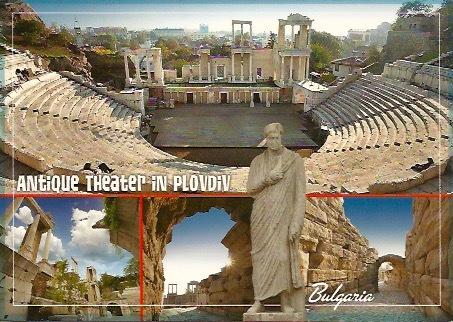 Lovely old town with Roman amphitheatre and easy to walk around. Loved it here. About 2 hours from Sofia by Bus. I was here in a Sunday so the Post office was closed. I had purchased the stamps at the Philatelic shop at the Post Office in Sofia. There is a very nice large Post Office here right in the main square. So posted it there. Antarctica-Chilean Antarctica-Base Eduardo Frei As this card shows the Base is on the Shetland Islands. I can still remember how cold it felt with the wind. 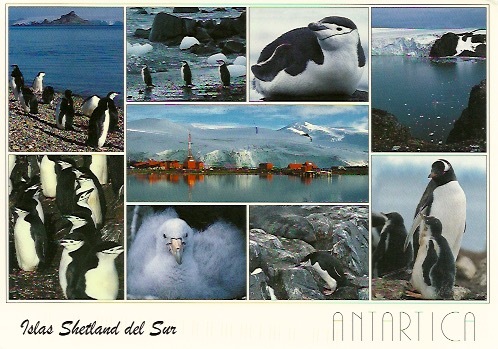 This is my final card from Antarctica . Since I have been to all parts now it is not easy to pick out my favourite. But the two stand outs would be South Georgia and the Huts in the New Zealand Ross Sea. I like this stamp showing a Elephant seal and marked Antarctica Chilena.